Roasting vegetables is one of the best ways to cook them in terms taste. Roasting brings out the natural sweetness and enhances flavor of vegetables. As grilling vegetables is to summer, roasting vegetables is to fall and winter. Broccoli, cauliflower, sweet potatoes, garlic, tomatoes, sweet and hot peppers — these vegetables all have wonderful roasting profiles. 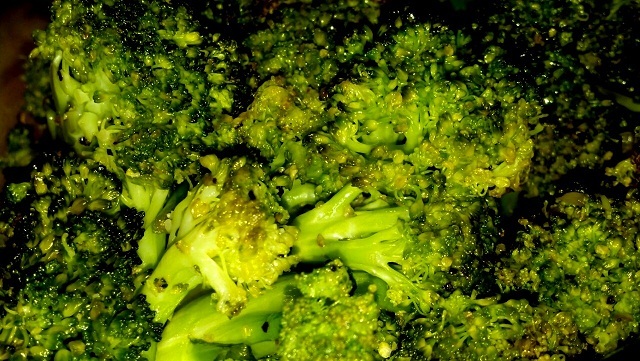 Steamed broccoli has nothing on roasted broccoli — no carmelization, no crisp, no browning. Try your hand at this garlic roasted broccoli with balsamic vinegar recipe; it’s like candied broccoli — so good! You will be hooked I’m warning you, similar to this other roasted vegetable recipe. Broccoli is important for detoxifying the liver and cleansing your body. The cruciferious vegetable aids in the the body’s absorption of vitamin D because it contains co-factors vitamin A & K — important for vitamin D metabolism. Broccoli has been linked in numerous studies touting its fight against cancer, inflammation, immune health, oxidative stress, and digestive issues. Increasing your consumption of broccoli should no doubt do your body right. 1. In a small bowl, combine oil and garlic. 2. 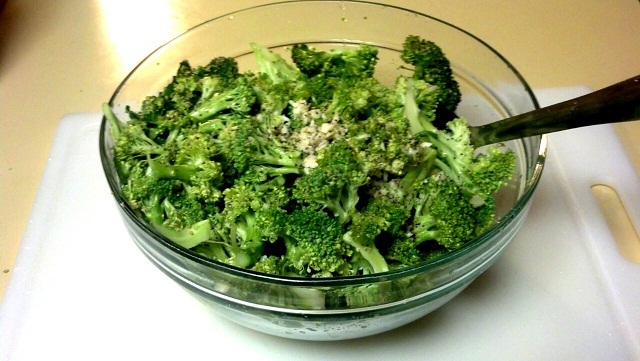 In a large bowl, toss together broccoli, garlic oil, salt and paper. 3. Spread broccoli florets onto baking sheet. 4. Roast in oven at 475 degrees for 6-9 minutes, turning once. 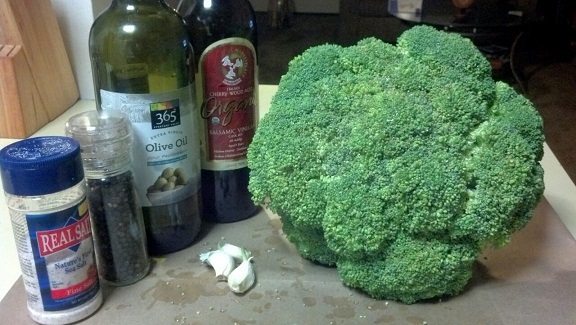 Broccoli should be tender and slightly charred on the edges. 5. Drizzle with balsamic vinegar and toss before serving. 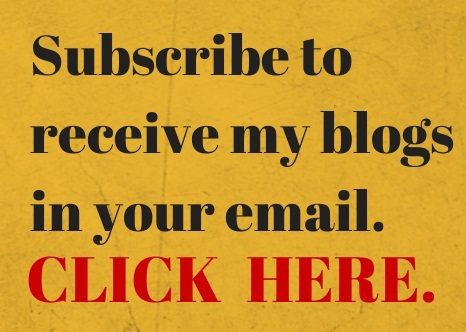 Subscribe above right to receive newly published blog entries instantly in your email inbox! Like a fruit basket full of lemons, avocados have become a staple food in my kitchen. They taste so good and are so versatile — you can add them to smoothies, top soups, salads, sandwiches and burgers, mash into guacamole and pair with carrots and celery, eat as a quick snack with lemon juice and olive oil or make into a delectable tangy yogurt. If avocados are not yet part of your regular diet, then you are missing out. Full of heart healthy monounsaturated fats, avocados can be your best friend in your fat loss mission — especially melting the stubborn flab around the waist. Avocados fight inflammation and can improve the body’s absorption of fat-soluble nutrients such as vitamin A – vital for respiratory, vision, and digestive health. As mentioned in this earlier post, avocados are wonderful for beautiful skin. 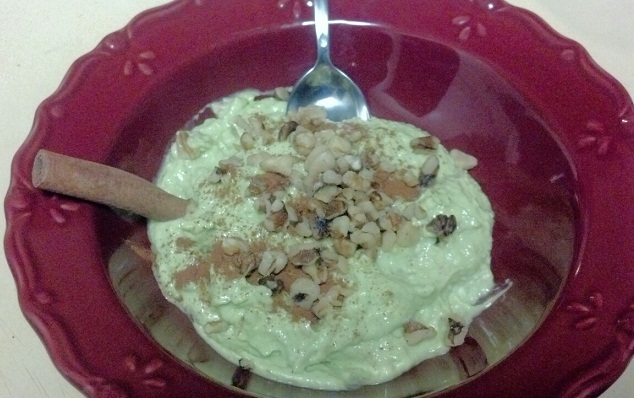 This Avocado Apple Yogurt offers a rich, tangy and semi-sweet flavor. The texture is smooth and creamy. One spoonful will sketch a smile onto your face. Top with cinnamon and walnuts for subtle sweet spice and a bit of crunch. 1) Remove seeds from apple. Keeping skin on, chop into small pieces. 2) Combine the grated apple, chilled avocado, vinegar, and extra virgin olive oil in a food processor and process until smooth. 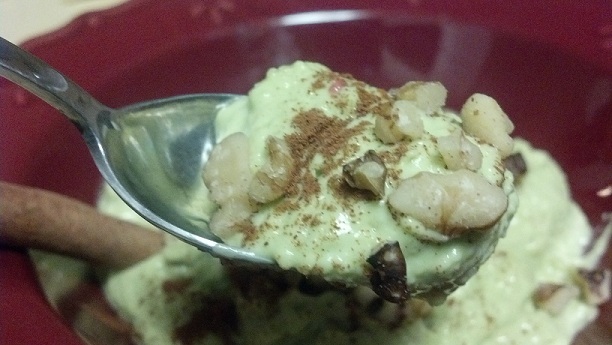 3) Pour the yogurt into a bowl, sprinkle the cinnamon and nuts on top and serve immediately.